In his classic study of Polish history, Norman Davies describes Poland in the late 18th century as ‘God’s playground’. That description could be applied to Lebanon today. Like Poland back then, Lebanon suffers from a combination of domestic institutions that are too weak and neighbours that are too strong. In recent months, Lebanon, more than any other country except Syria, has found itself caught in the crossfire between Iran and Saudi Arabia. Iran has gained increased influence in Iraq and Syria, owing to the effective military defeat of the Islamic State (IS)—from which it has benefited even more than Russia. At the same time, Iran’s great rival, Saudi Arabia, is experiencing a domestic power struggle unlike anything seen in decades, even as it tries to lead the Sunni Muslim world in its confrontation with Shia Islam. 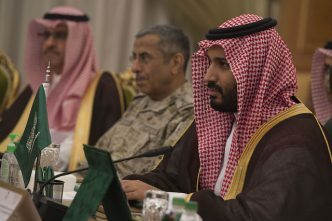 In recent weeks, Saudi Arabia’s young, ambitious crown prince, Mohammed bin Salman (known as MbS), has been politically, socially, diplomatically and militarily hyperactive, perhaps in response to perceived interference from Iran. For MbS, the deep structural reforms that he has been pursuing are a matter of life or death for his long-immobile country. 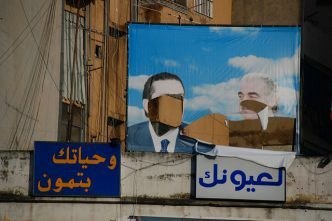 In Lebanon over the past two decades, the Iranian-backed political party and militia Hezbollah has carved out a state within a state. And last year, it entered into a power-sharing relationship with Lebanese Prime Minister Saad Hariri and President Michel Aoun. Against that backdrop, Saudi Arabia earlier this month seems to have used Iran’s growing ambition as a pretext to summon Hariri to Riyadh as if he were a misbehaved pupil. While there, Hariri accused Hezbollah of taking over his country, and then announced his resignation—a decision he has since reversed. For many analysts, Hezbollah has become too powerful not just in Lebanon, but also in Yemen, where it is said to be helping Iranian-supported Houthi rebels in a proxy war against the Saudis. 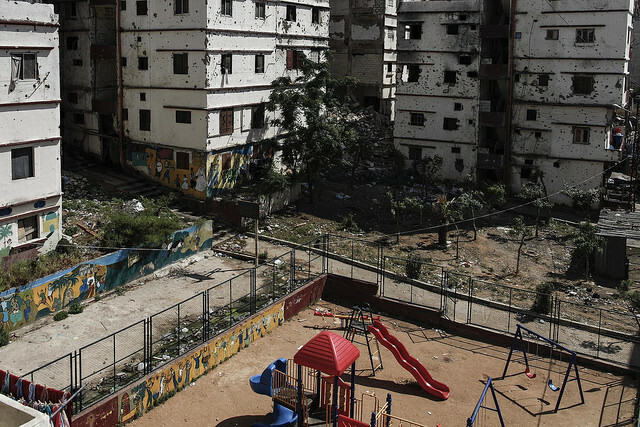 An escalation of the war in Yemen, then, may have been the starting point for Lebanon’s latest crisis. What, then, should be the top priority in the Middle East after the defeat of IS? Some observers are calling for social and economic reforms to dry up the sources of extremism. But while one can hardly disagree, a reform agenda will take a long time to bear fruit. For others, a much more immediate priority is to contain Iran, which, in digesting its recent successes, is developing a larger appetite. In September, Iran conducted tests of a new ballistic missile. 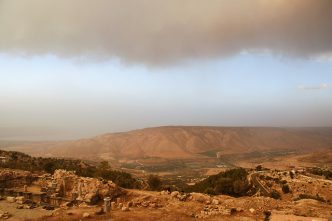 And, according to the Israelis, Iran is building a military base in Syria, not far from the Golan Heights, which Israel has controlled since 1967. For those in this second camp, it is time to reimpose sanctions against the Iranian regime. A third school of thought places stability—the need to prevent absolute chaos in the region—above all else. With the Middle East already consumed by a maelstrom of sectarian conflict, the last thing the region needs is another war centered around Lebanon. French President Emmanuel Macron tried to defuse tensions on a short trip to Riyadh earlier this month. But appeals to reason are unlikely to work at a time when emotions are running high. Can the Iranians be convinced that if they push too far, they might lose the advantages they have gained? Much will depend on whether there is an ‘Iranian Bismarck’ on the horizon who can convince his country to accept a policy of limits. And can the Saudis be convinced that they, too, are pushing too far? Given that the Saudis’ embargo against Qatar and war in Yemen have been ineffective, if not counterproductive, they are unlikely to do much better in Lebanon. Raising one’s voice to hide weakness is a dangerous strategy that can have catastrophic results. As for France, direct involvement in attempting to reduce tensions in the Middle East seems indispensable in the era of Donald Trump. 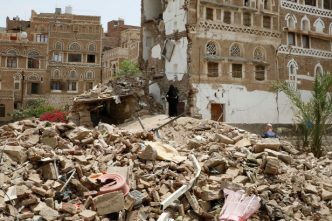 Now that he has put his administration squarely on the side of Saudi Arabia, the United States has no chance of being seen as a disinterested mediator. To be sure, France cannot substitute for America. But geopolitics, like nature, abhors a vacuum, and France does have unique historical and cultural cards to play in Lebanon. Moreover, its position towards Saudi Arabia and Iran is more balanced than that of the US. If the Saudis and the Iranians both recognise that it is in their interest to reduce tensions, they might just listen to a European interlocutor. Sadly, both sides seem determined to keep their blinders firmly in place, Lebanon be damned. Dominique Moisi is senior counselor at the Institut Montaigne in Paris. This article is presented in partnership with Project Syndicate © 2017. Image courtesy of Flickr user Oxfam International.